Andrews Laboratory Services are proud to be a UK distributor for Salvis Lab Products. Please contact us to find out more about the products we can supply. SalvisLab Renggli AG, founded in 1927, is an established Swiss family enterprise with international orientation in the realm of complete laboratory solutions. As one of the leading European manufacturers and market leaders in Switzerland, Renggli designs and implements state-of-the-art laboratories for research, industry, medicine and education. 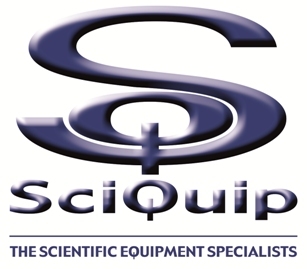 SciQuip is a UK owned company and a specialist supplier of laboratory equipment including centrifuges, freeze dryers, microfuges, ovens, incubators and shaking incubators. SciQuip is the official approved UK supplier for all Sigma, Christ, Lauda, SciPette, GFL, MMM, Bellco, Nabertherm, SciQuip, SciSpin, VacuuBrand and Leec products. Andrews Laboratory Services Ltd is an approved service partner for Sciquip.